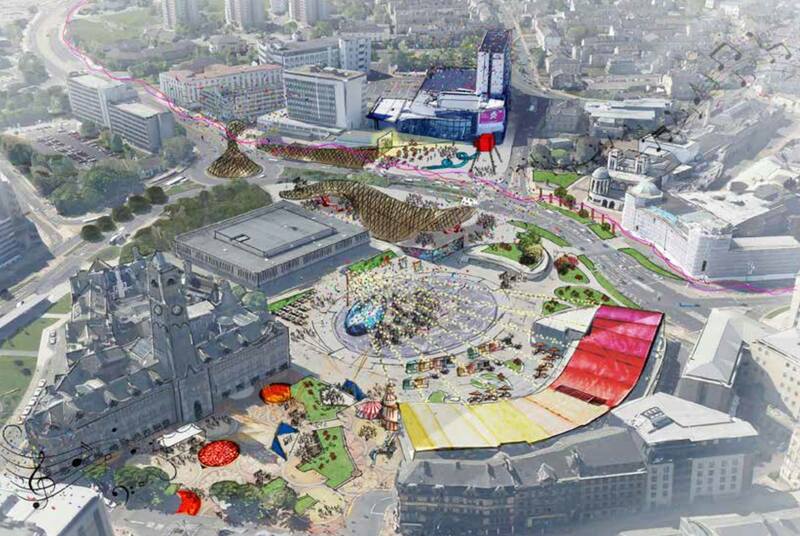 Carbon was invited to join a working group developing the City Of Bradford’s bid to host the Great Exhibition Of The North in 2018. The two-month festival would showcase the best of art, culture and design across the North of England. Along with its intimate knowledge of northern cities and particularly Bradford itself, Carbon brought its skills in design fiction, tech hubs and creative cultures to a series of three themed workshops to develop the bid. These workshops respectively explored the creation of a collective artwork, venue possibilities, a performance programme, an exhibition for the National Media Museum. and overarching themes and narratives. The group arrived at the notion of a kaleidoscope metaphor for the bid, encouraging visitors to use the exhibition to explore the diversity of the North and remix it. Developed over the course of six weeks, the Futurescope bid was submitted in Summer 2016 and shortlisted as one of four finalist cities. Carbon subsequently curated and hosted a showcase of creative technologists for a visiting DCMS delegation at the city’s new Digital Exchange. The showcase illustrated how the city’s approach to hosting the exhibition would harness local talents and emerging technologies. Our work concluded with the recruitment of Mothership UK, to produce a short film promoting the bid.